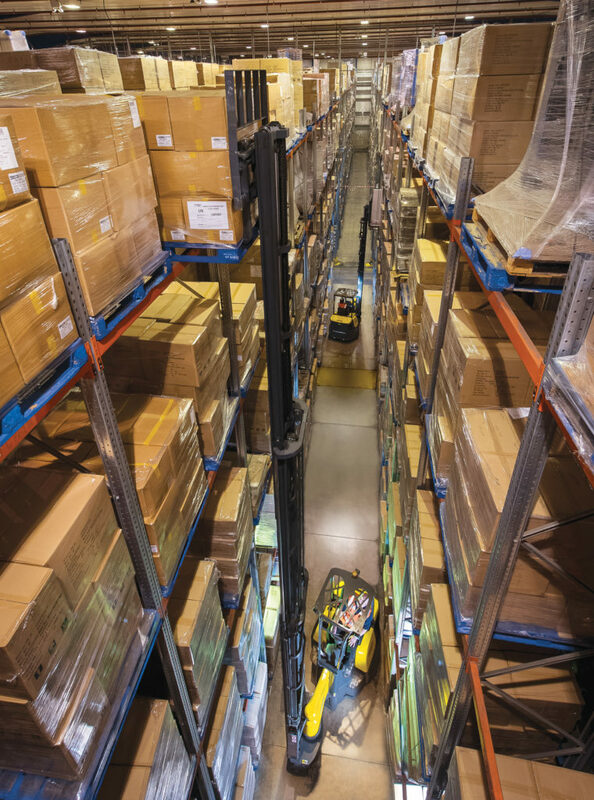 Aisle Master trucks are tough, versatile and built to last. Designed to withstand heavy-duty use inside and out, each robust VNA articulated forklift truck is manufactured to the highest standards and is distributed from Combilift HQ in Ireland. 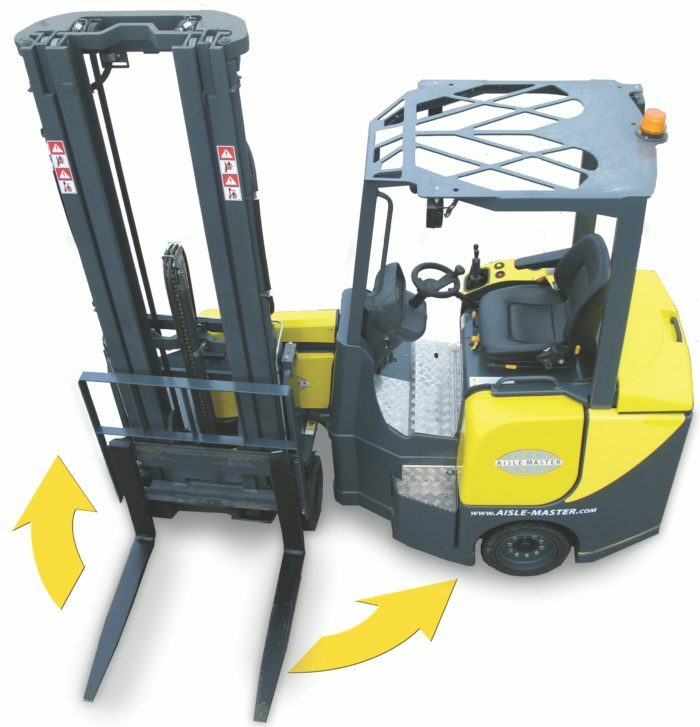 This innovative product incorporates advanced technology and offers a key range of benefits, including higher reach and load capacity, driver comfort and safety, easy operation and efficient 19.5kw AC motors for low running costs – all contribute to higher productivity and better, more efficient use of available warehouse capacity. Each truck comes a 5 year, 5000 hours factory-backed warranty as standard and free warehouse planning service.